That's me! On the Field to Vase blog today! What do you picture when you hear the phrase, " Field to Vase" ? If your vision includes beautiful flowers like the kind your grandmother grew in her garden then you are right on the money. Today's flower farmers grow in hoop-houses, greenhouses, backyards and front-yards, abandoned city lots, community plots, and good old -fashioned farmland too. 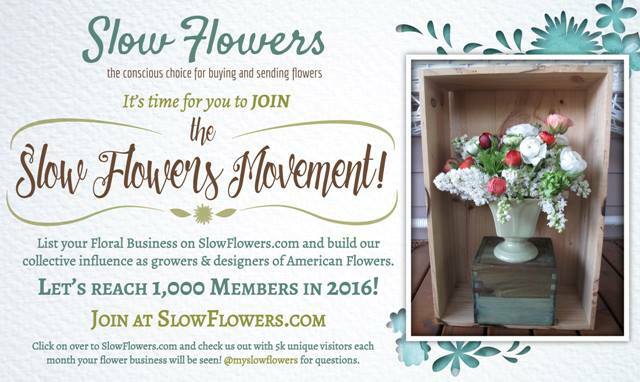 I'm talking about flower farmers who grow 100% home-grown flowers for wholesale, retail, weddings, events and more. If you've been with me for some time now, you know I'm a budding backyard flower farmer aiming to do my small part in bringing flowers back home to American soil where they first began. Imagine how excited I was to find others who are doing the exact same thing all over the United States. 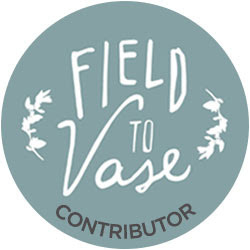 I'm so excited to introduce you to a fantastic grass root/flower roots online community called Field to Vase. 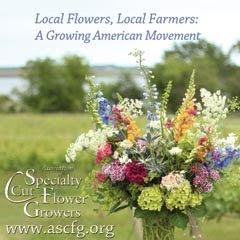 An online directory of flower farmers and farmer/florists committed to educating the public about where to find local flowers where ever you live. I learned about it through digging around online looking for flower farming communities on Facebook. 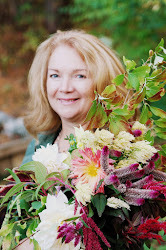 This community was created by Christine Stembel, founder of Farmgirl Flowers. 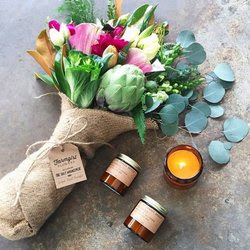 She ( and her team of talented artisan floral designers) have earned rock star status in San Francisco, Calif. with their signature burlap wrapped bouquets using flowers 100% locally sourced flowers from local flower farms in California. Farmgirl Flowers was also recently featured in a three page spread in the San Francisco Chronicle. Check them out on Yelp to see more fabulous flower photos and read over 600 reviews! And, if you're thinking about starting your own backyard flower farm some day, read my article on the Field to Vase Blog, and meet more inspiring flower farmers there too. Who knows? You could be living right next door to your local flower farmer.